What’s good about the Rev’It Neptune Gore-Tex jacket and trousers? It's been a damp start to the year so I’ve worn this kit for my daily commute plus a couple of trips away. So far I’ve not had any issue with the zips and poppers, which are all sealing tightly. Both the jacket and trousers fit well - I’m tall and sometimes struggle with the length of kit but find both pieces are comfortable. 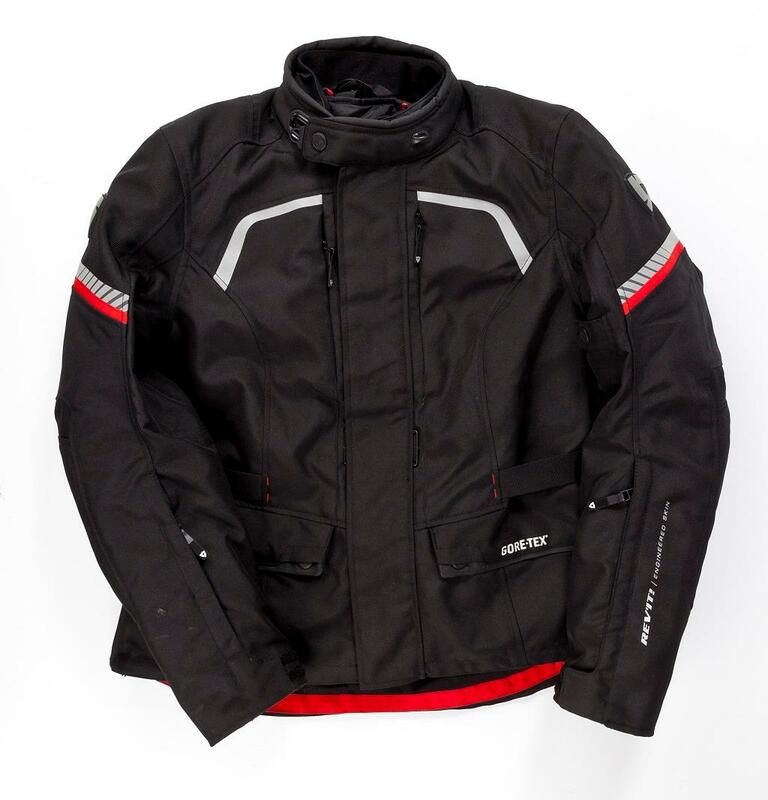 When zipped together the jacket doesn’t feel short and pull at the neck to throttle me, nor do the trousers ride up to bare my ankles when sat on the bike, as other kit has in the past. I love the way the sleeves can be undone from cuff to elbow, which makes sure gloves fit underneath well and leave no draughty gaps.. I rode for an hour and a half in nigh-on monsoon conditions and found the crotch area got wet, so much so my underwear could be wrung out, not pleasant. In defence of the clothing the rainwater was pooling in my lap and not dispersing, but considering the Gore-Tex lining and hefty price tag I expected more. The fastener on the trousers is a little odd, rather than a popper it slides into place and on occasion has undone. I’m disappointed there isn’t a CE-approved back protector included, rather than just a pocket for one.